Hello Friends! Happy Valentines Day! I'm so excited to be up today on the blog! I absolutely LOVE Valentines Crafty stuff! Lovestruck has been one of my all time favorite lines. 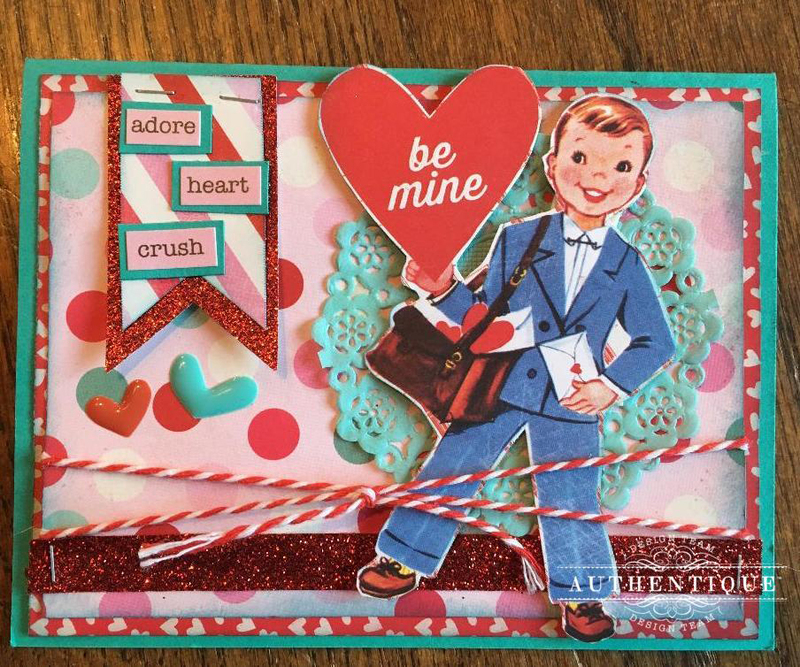 This project features the Lovestruck line in my Altered Box and Mini Cards! For this fun project, I took a Graphic 45 Box, and covered it with Nuvo Mousse which is what gives it that beautiful sheen! Then I just started adding fun elements to the box the final touch, Gold Feet, and a red ribbon. 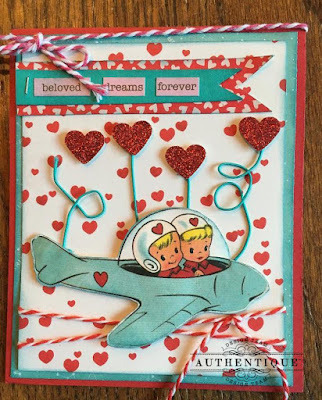 This card is just one of my favorites! 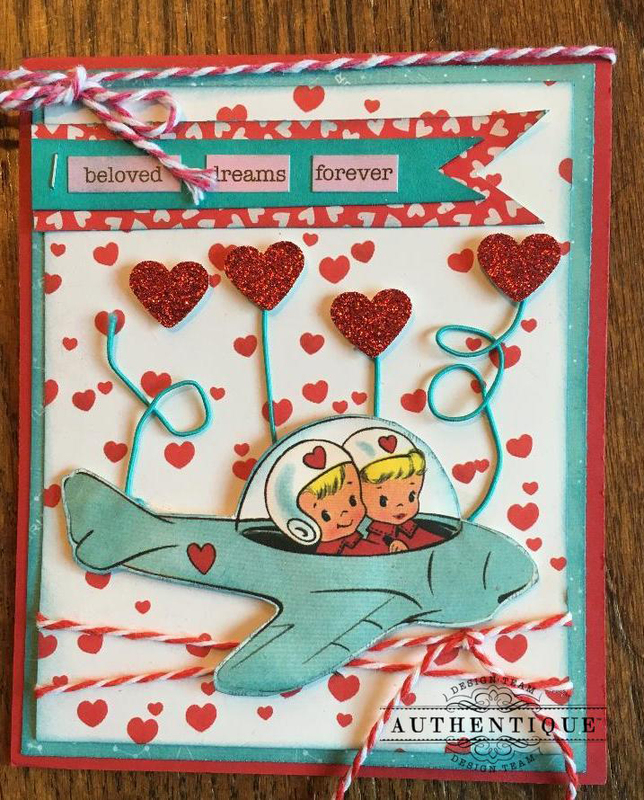 I fussy cut out of the darling Valentine images and had them flying through the air. Finish it off with a word banner, and some twine, and what a darling card to give. These two are mini cards and only measure 3x3. 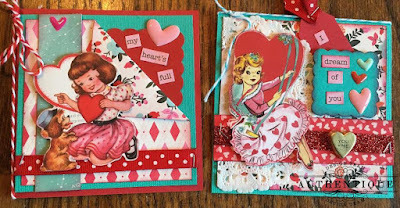 I cut more images out of the paper and built up around that with ribbon, punches, enamel hearts, and twine. Just fun things you might have around for Valentines day! Each of these cards will be in the box for my hubby. I'll put a special note in each of them. 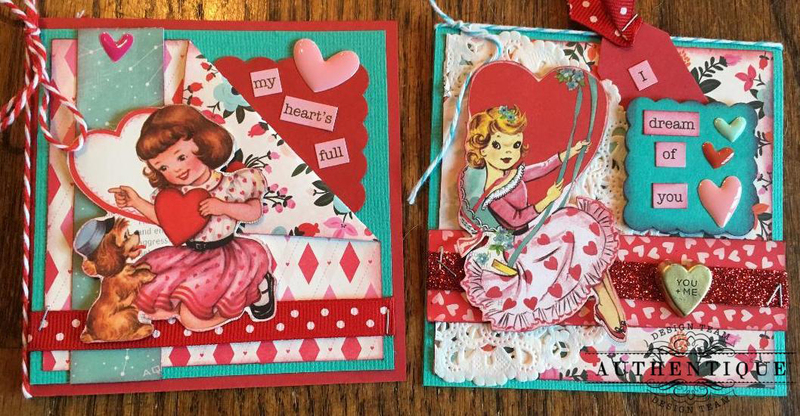 These two darling cards are even SMALLER! They measure 2x2. Miniature versions are sooo much cuter! 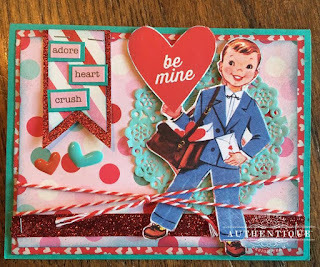 This card features my favorite cutout of the darling young man. This one is my little Tony. Tony is my 12 year old son. This one really reminds me of him. 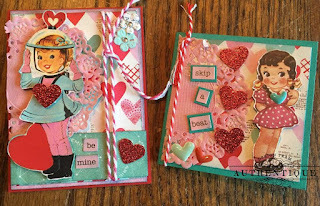 I love to sit around and fussy cut all the fun elements on all the papers by Authentique. Do you? Some people love it and some don't. It keeps my hands busy and I can do it anywhere. What are your big plans for Valentines Day? We always have celebrated Valentines Day with our son. We like to make him feel a part of it. We go out to dinner the night before, and then just hang out together at home on the actual day. Let all the young couples have the reservations on the day. I already have my Valentines!